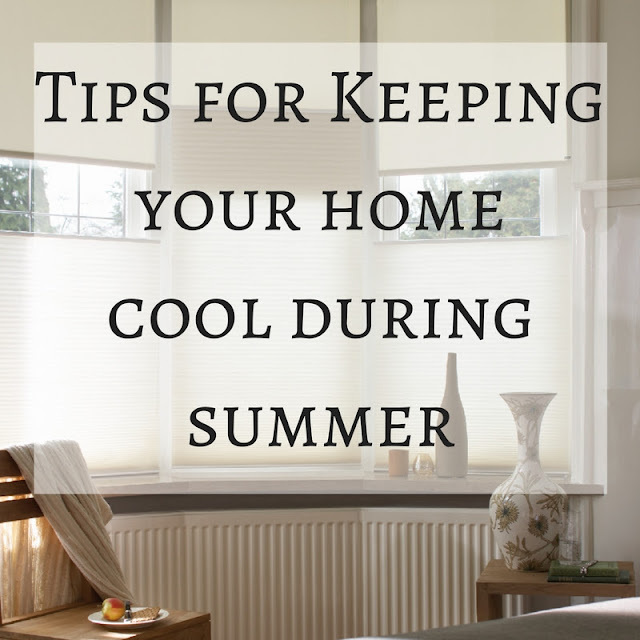 We all want to keep cool during Summer, if it is hot outside then it can be equally as warm inside our homes. I have put together some of my top tips to help you keep your home cool during the heat of Summer. If you are cooking in the kitchen be sure to turn on your extractor fan, this will help remove the hot air from the kitchen. Likewise you can remove the steam and heat from a shower room by ensuring your bathroom extractor fan is also on. Particularly if you shower in the evening as you want the upstairs of the home as cool as possible for a comfortable night's sleep. Simple things like closing the blinds or curtains in the day can help prevent your home feeling like a greenhouse. Luxaflex have designed blinds to keep your home cool, the clever design of the Duette® shade keeps warm air trapped inside it, helping to keep the heat from your home. Keeping the blinds down can really help prevent heat from turning your home into a greenhouse. Ensuring your blinds are in the right place at the right time is also key to keeping your home cool during the summer. Do not worry if you have gone to work, only then to realise you have left your blinds open and it is a scorching hot day. 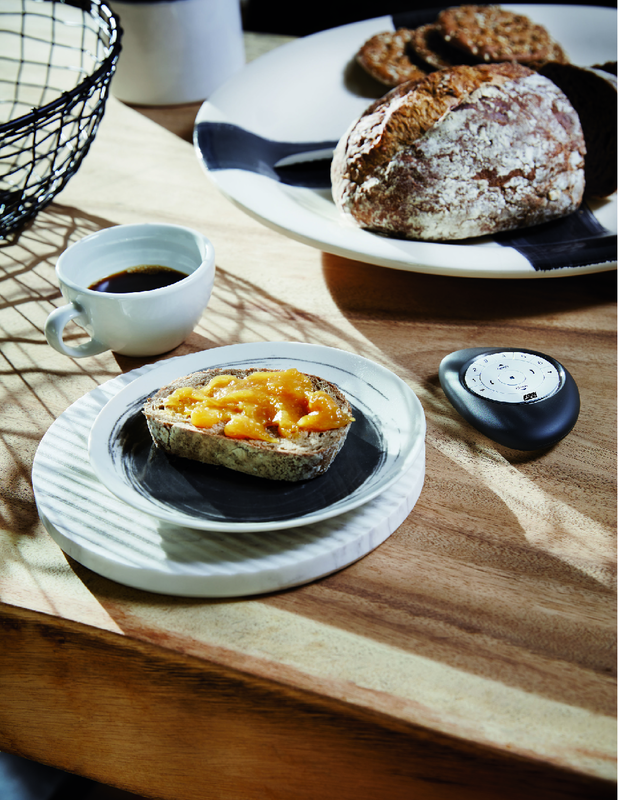 With new technology(Powerview Motorisation) Luxaflex has created a new system - these blinds can be programmed and controlled not only by remote control pebble whilst you are at home but also via an app on your mobile phone or tablet. So you might be busy at work or out shopping yet you can still operate your blinds to keep your home cool. This is also a great security feature, should you find yourself not returning home until late or you are away on your holidays, open and close your blinds as if you are still at home. If you normal heat your hot water in the evening, change the timer to heat it in the morning. This way you are not adding heat to the home during the night when you are trying to sleep. If you are at home you can open your window, opening several windows in different areas of your home can help create a breeze. Do bear in mind the security of your home, do not leave your front ground floor windows open if you are out or in your back garden. Dyson Air Coolers can be found in homes and hospitals around the country. Significantly quieter than conventional rotary blade fans, these fans offer a stylish design and efficiently provide cool air. Easy to keep clean. Dyson fans are also quieter for night time use, and much safer than the conventional spinning blade fans. The latest fans also come with a built in air purifier. Keep the heat down in the kitchen by using the microwave to cook with instead of the oven, or better still enjoy a healthy salad alfresco style. Be sure you are using Energy Saving Light bulbs they emit 90% less heat than conventional light bulbs. Do you have any tips to share on how you keep your home cool? 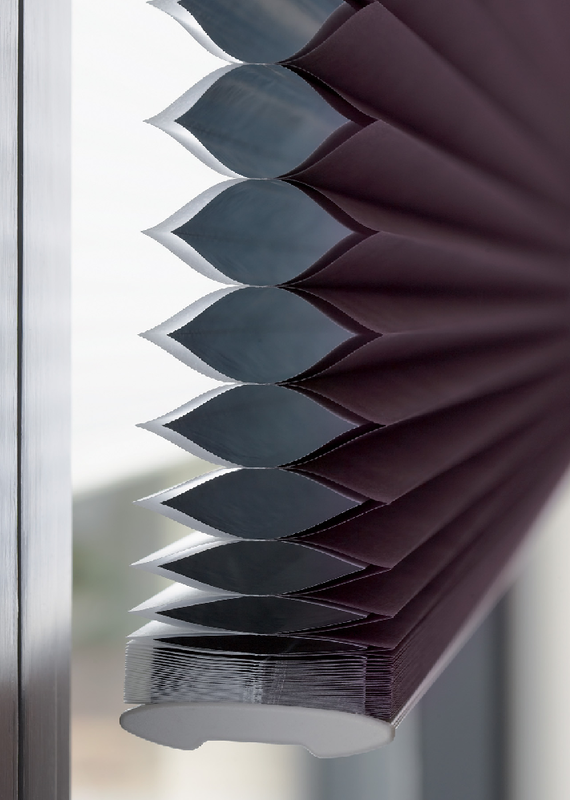 Disclosure: This is a collaborated post with Luxaflex blinds.